When we train dogs we use treats to reward them. That cannot be that different when you train tracking? Well, it is not that easy. The use of treats in tracking training is not as straight forward as it seems to be in something like obedience training. We can reward with treats when finding objects on the track or the person the track leads to. But what about laying down treats on the track itself? To follow a scent track is a natural thing to do for a dog. That explains how it can be possible to train tracking without treats. The dog is already doing what is natural, no reward needed. Much unlike obedience training where we want the dog to sit, lay down, heel, etc. Which is not natural behavior and we need treats to "lure" them in doing what we want them to do. But although following a track is natural, there are those elements in tracking as a sport we humans added. They are not natural and we have to teach the dog. Moments like the initial finding of a track, marking objects that are found on a track, not getting distracted by crossing tracks, turns in tracks, etc. And here it sure is convenient to use treats. But they come with a downside. The dog is vulnerable to take the whole thing for a treat search. Using treats is a shortcut, allowing you to quickly overcome an issue. But using them too much or too long will set your dog back, and feeds his interest away from the track and towards the treats. Treats are a shortcut, and they do offer a quick fix. But use them with care. Rather too little then too much. It is difficult to get a dog of the treats again when you took it too far. And you do not really need them. Breaking something up in smaller pieces is also a way, it just takes some more time. In Kenzo's case I could also have teached him to find a track by increasing the distance to the track with small intervals in each training session. Treats are a controversial subject in tracking circles. If you would not know the subject, you could mistake a discussion about treats between tracking dog trainers into a holy grail discussion between religious fanatics. As always, the wisdom is right in the middle. What is your opinion on treats? Remember your very first pup and the plans you had for both of you? Your pup will have outstanding manners. Nice to people and other dogs. Come when you call. No problems whatsoever, just enjoying doggy life. It is a nice dream isn't it. Somewhere down the road we find out that even if we have the nicest and most obedient of pups, we still need two to tango. Not everybody we meet is as nice and well-behaved as we would like them to be. 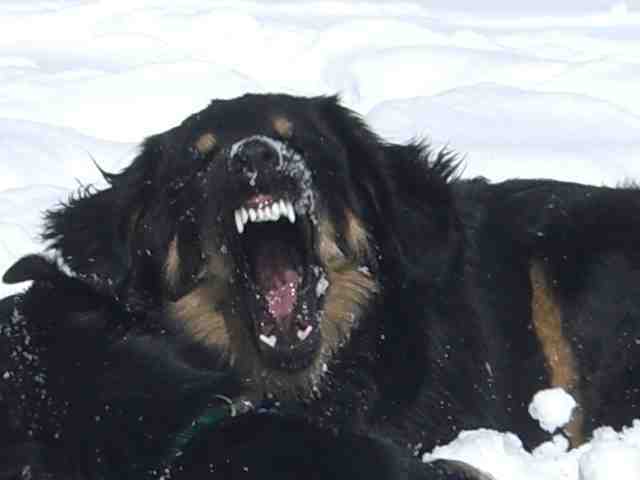 Even dogs that seem to have great personalities, might just not get along. Like people. Owning a dog means you have to be prepared for a dog fight. Unfortunately but inevitable. Even if your pup is not reactive, you will meet one that is. Don't fool yourself you are able to distinguish a dog fight from a skirmish. 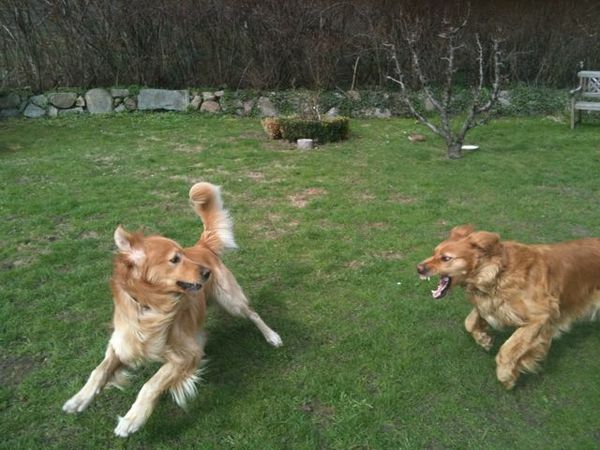 Dogs just read each other quicker, and they decide quicker. You don't have a chance. When you are still contemplating about if what you are seeing is a dog fight or an impolite exchange of macho dog talk, things are already enfolding. Acting on a fight which is not is just as dangerous. Shouting and intervening will only add the stress that can trigger an actual fight. Ninety percent of the solution is to avoid. Tune in to the body language of the approaching dog and your own dog beforehand. Is your dog avoiding the dog that is coming, or showing stiffness? Be alert. With stiffness, walk in the other direction immediately. When your pup starts to move in a different direction and sniffing casually, follow them and don't force them to meet or walk by the other dog. Support them in their actions and walk past in a circle. Handlers of search-and-rescue dogs have a great principle to live by: "Trust your dog". This is one of those times. Giving your dog this trust will strengthen your teamwork and your dog's confidence. If possible, avoid places where dogs can be off-leash, like dog parks, when you don't know all the other dogs and dog owners. Only have an off-leash walk or dog park visit with people and dogs you know and can trust. When you are good at avoiding you could still walk into an off-leash dog or a stray that might turn aggressive. That's why you should always carry a citronella spray with you. Or at least a water-bottle, even better pepper-spray when that is legal in your state/country. When you are unsure about the dog's intentions try shouting to make him think twice about coming any closer. Use the spray if that doesn't help. Don't wait until it is too late. Once there is a fight, the spray will have little effect. Think about before hand on what exact distance you would like to use both, this will make you act quicker in the situation itself, when there is hardly time to think. When nothing helps to stop the dog from approaching drop the leash of your dog. This might seem strange, but dropping the leash removes tension from your dog and might enable them to send the correct message to the unwanted visitor. 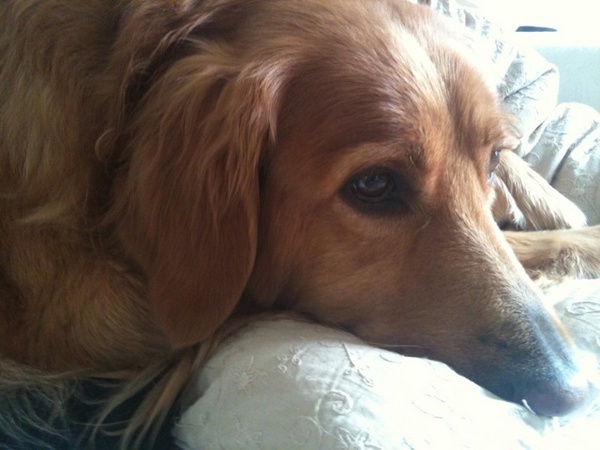 On her blog, Laurie Luck tells how it helped her to avoid a dog fight. I am sure instinct will take over now, despite of what I will write. But please stay with me on this one. When you are in a fight, drop the leash of your dog to give him a better chance to defend himself if you didn't already. The last thing you should do is trying to step in and grab either dog by its collar, spark or kick. The chances for a dog bite are high and you can get severely injured. If the other owner is around you should both try to grab a dog by its hind legs or tail and trying to pull them away from each other. Usually there is no time to explain, just start pulling on their dog so they get the picture. Although this is also with risk, and can also provoke a bite. On her blog, Karen Friesecke wrote some other options down that might also work. Everybody is different, and I do respect when you are that kind of fearless person that in a split-second jumps in the middle of a fight to protect your dog. But beware the consequences. My dad is such a person, and he has been in a dog-fight three times during the last year in which he got bitten each time. The last time it was that bad that they had to do surgery on his hand twice, and we feared he would loose the function of his hand. Do not underestimate the force of a dog bite. And when you get severely injured, what does that mean for the life of your dog? We joined the R.O.A.R. (Rescue Owners Are Rockin') squad and as of today it is official: We are rockin' ! Only half a year ago we took a leap of faith and adopted Viva. If only I would have known then, what I know today, one question comes to mind. What kept me so long! We have such a special and deep bond together, it is like we were meant to be. The R.O.A.R. squad is founded by Shauna Stewart and her rescue, Miss Kayloo (picture on right). She is seeking rescue owners from every US state and all other countries to help her prove that rescue has nothing to do with stories about "broken" animals, but instead are fabulous stories about love, joy and fulfilment. Join the R.O.A.R. squad ! One of the things that have always fascinated me is a dog's scenting capabilities. When a search-and-rescue party is on the news, or a drug smuggler is arrested at the airport by a K9 unit, I find myself wanting to know more about the dogs involved and how they did it. Next to the actual story itself. Everything a dog does has to do with scent. They live in a world of scent. Take a dog walk. You have probably noticed you can pass by another dog when it is out of sight and going downwind. But if you were going upwind it is like your dog's nose from one moment to the other is catched by a virtual fish hook. They don't see the world, they smell it. What an interesting world that must be. I could go to my favorite restaurant, sniff a little, and know which of my friends or foes have been there before me. And from the people I have not met before, I quickly find out their age, gender, and general state of health. It is the dog that can step into that world of scent, we are merely outsiders and have no clue on what they "see". That's why handlers of search-and-rescue dogs always say "Trust your dog". 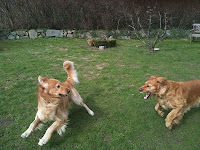 But thankfully our dogs love to tell us in their own language what they are scenting so we can engage in their world. With a little imagination we can paint a picture of what they are really experiencing in daily life. Make a habit out of observing your dog on your daily walk and wonder why they stop at certain places. Let them to go off the path and indulge them. They don't have to "heel" all the time. Let them be dogs and prepare to be awed. It is difficult to imagine how it would feel if we could distinguish as many scents like a dog. On top of that it depends on wind directions, humidity, going up- or downhill, and a lot more factors. When you have already been going to nose work classes or have done some first tracking with your dog you are probably wondering about what you have been observing and which factors played a role in your last "search". Fortunately, there is an excellent book about scent, "Scent and the scenting dog" by William G. Syrotuck. If you want to know more about the world of scent this is definitely the book to read. It is obligatory material on police K9 training schools. It is not so much a training manual, but more a thorough description of what scent is all about, and what your dog can do with it. After you have read this book, even a routine dog walk will never be the same. Welcome to the world of scent ! I hope this book can bring you closer to your dog and maybe also inspires to engage in nose work. What could be better then to let your dog explore his own "dogginess"? It is one of the most rewarding activities you can do together. To quote Randy Hare: "Anything a dog can learn on his own is more effective and better understood than what humans can force on the dog". Any regular reader of this blog knows I am a big fan of the Hovawart breed and both my dogs are Hovawarts. Unfortunately, Hovawarts in Denmark have a bad reputation because of health and mental issues. Why? Most of them come from a puppy mill called the Hovawart Kennel. After some years in hiding, they have now become active again. They also started exporting to the USA under the name Hovawart puppies. The first time I went to our vet with Kenzo he was still the smallest of puppies. Our vet was in chock. "Oh no, a Hovawart? Where did you get him?". She was relieved to hear he didn't come from the puppy mill. She told me about the "Hovawart Kennel" and that all her former Hovawart patients came from this notorious breeder, and she had to put all of them out of their misery before the age of three, except one. And this is not the lucky one, he had a very expensive hip replacement, and can still not walk properly. It didn't get better when I tried to find a club to train small Kenzo. They were reluctant to take on a Hovawart, as they had so many bad experiences with them. They did let me join a class. One of the owners of a German Shepherd Dog even threatened my health if his dog would get hurt by Kenzo. As it seemed, the "Hovawart Kennel" has been active in Denmark for almost 15 years. Under different names, like "Kennel Hof-Joy", but with the same owners and on the same address. They have been exposed several times by puppy buyers that lost their dogs very early, even days after buying a Hovawart puppy. They have been in a TV-special about puppy mills on Danish television. The Danish Kennel Club and the Danish Hovawart Club (both officially recognized by FCI) threw them out. The police investigated circumstances and found the dogs in very bad conditions. Unfortunately, by Danish law, they were only fined with an amount less then the price of a puppy. Ridiculously low. A lot of owners appeared on television, complained on Internet forums, but nobody stepped forward to press charges. It went quiet in a couple of years in which they apparently have been living in the USA. But now they are surfacing again under a new name in Hovawart circles. This time because they have acquired a Hovawart from another breeder, and have been using this dog for litters outside of the control of the Danish Hovawart Club and the Danish Kennel Club. No complaining owners yet. But it is very suspicious that they re-registered this dog in the Continental Kennel Club, which is not recognized by the FCI. The dog was already officially registered with the Danish Kennel Club, an FCI-recognized organisation. Obviously not something you can use in this type of business. Even worse, as it turned out the owner of "Hovawart Kennel" is also the owner or representative of the Danish branch of the "Continental Kennel Club". And that is more then just a conflict of interests. It is the setup of a hoax. The breeder of which they acquired the Hovawart that should serve as a stud, repented. He went public by placing adds on the Internet warning people about the kennel being active again. Kudos for this breeder, that made a mistake, but didn't want to hide and went public instead. But apart from this one breeder it is awfully quiet. The website of the Danish Hovawart Club has a list of responsible breeders, but doesn't mention which bad breeders are active. They don't mention anything that has transpired in the last 15 years. The Danish Kennel Club is not much better. They only have one hidden reference under the old name of "Kennel Hof-Joy" on their website, a moderate "we knew" response to one of those (now outdated) TV-programs that has been aired years ago. One could expect a more pro-active attitude from the people that strive for the perfection of all dog breeds. At least a regularly updated blacklist of breeders. On the Internet please. Where the fight is taking place. Apparently law in Denmark is not equipped for this kind of situations. The police has no real power and can only fine the breeders for ridiculously low amounts. It is very bitter that this can happen in the same country that has just accepted a new Breed Specific Legislation (BSL) to ban no less then 13 breeds. A worst-case scenario of mixed-up priorities. If our laws on puppy mills were as harsh as those that ban breeds, maybe we wouldn't have to ban breeds in the first place? 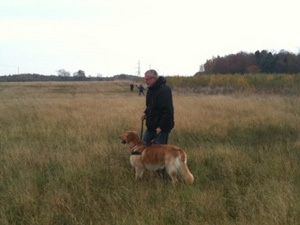 All ended well for Kenzo, everybody in dog training class is crazy about him. He is extremely nice to smaller dogs, and especially smaller dogs that are afraid of large dogs. One of our trainers has even had Kenzo and me assist her in setups to help a couple of smaller dogs to overcome their fear. Even the German Shepherd Dog owner became a big fan of Kenzo. I am happy that Kenzo is such a good ambassador for his breed. It is not the breed, but actions of us humans that makes, or breaks, the dog.